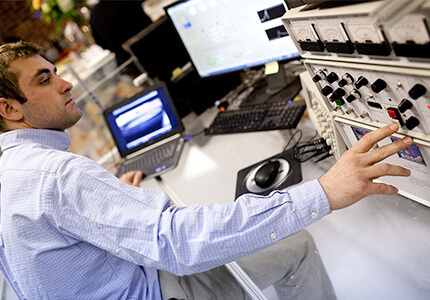 Rutgers’ CAIT was awarded a $3.5 million grant from USDOT’s Research and Innovative Technology Administration under the University Transportation Center (UTC) program. This is the third time CAIT has successfully competed to retain its Tier I UTC status. The UTC program, authorized and funded under the transportation legislation SAFETEA-LU, was cut this year from 60 centers, down to 22, making the competition especially fierce. Of the 22 slots, only 10 were designated for Tier I centers, which can operate on a national level, rather than being limited to regional or transit-related issues, as the other 12 UTCs are. CAIT pulled together an impressive consortium of research university partners that includes Columbia University, New Jersey Institute of Technology, Princeton University, University of Delaware, University of Texas at El Paso, University of Virginia, Utah State University, and Virginia Polytechnic Institute. CAIT will administrate the grant and work with its partners to use the funds to solve pressing problems regarding the upkeep and improvement of our nation’s infrastructure. CAIT conducts important scientific research on critical infrastructure challenges our country faces now and in the future: public safety and security, infrastructure health monitoring and rehabilitation, mobility, congestion, shipping, asset management and economics, and reducing environmental impacts. Every time you flip a switch, take a shower, or drive to the store, you are relying on infrastructure. People, products, energy, and information—nothing moves without infrastructure. It’s inextricably linked with the quality of everyday life. The proposal submitted by CAIT describes a broad multimodal research portfolio and technical programs that will help keep our country’s infrastructure in a state of good repair, one of Transportation Secretary LaHood’s five focus areas outlined in the RFP. 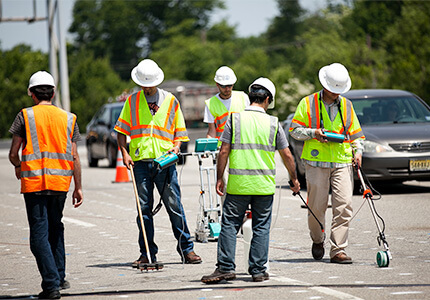 CAIT has 14 established research programs that address a spectrum of infrastructure needs: roadway and bridge condition assessment and monitoring; pavement design and maintenance; physical asset management and decision-making tools; traffic safety; port operations and security; and more. Submissions for the grant were judged on research capability and track record, results and effectiveness at applying research to solve real-world problems, education and workforce development, and demonstrated leadership, collaboration, and diversity. CAIT researchers using nondestructive evaluation tools to gather data on condition of a bridge deck in Wayne, NJ. CAIT offers many opportunities for students to engage in research, such manning the controls of a sediment erosion flume (ESETM). Asphalt lab director Dr. Thomas Bennert explains some testing done at CAIT’s AASHTO-accredited pavement lab to visiting NJ legislative staffers. Photos: Drew Noel Photography/Rutgers CAIT ©2010/2011. All rights reserved.